The new Moto G2 is expected to go on sale before the end of this month after already appearing in a retail database. The surprise listing indicates Motorola’s second-generation device will have a larger display and a much-improved rear-facing camera. 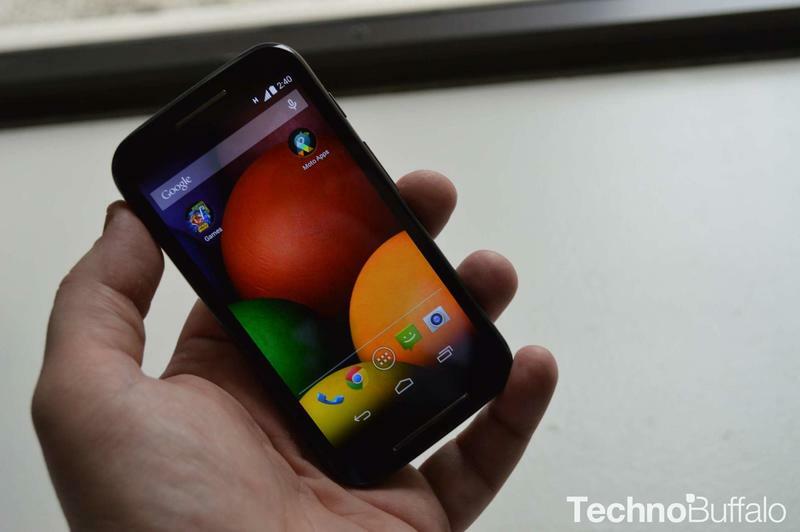 The Moto G has been a huge success for Motorola. It’s only a midrange device, but it’s one of a small few that knows how to tackle the midrange market properly. It has relatively decent specifications, and more importantly for some, a very affordable price tag. This combination has made the Moto G Motorola’s fastest-selling smartphone to date, so perhaps it’s no wonder that the company may already be looking to launch its success just nine months later. Ausdroid, which expects the handset to launch in mid-August for around $250, has published a picture of a Moto G2 listing in an Australian retailer’s internal database. It says the handset is “coming soon” in black with a 5-inch HD display, a 1.2GHz quad-core processor, 8GB of internal storage, a microSD card slot, and an 8-megapixel rear-facing camera. On paper, the Moto G2 isn’t vastly different to its predecessor, but Motorola appears to have made a number of improvements in just the right places. Not only does the new device have a larger display, but it also has a much better camera — and that’s one of most important features for many smartphone buyers today. It’s very important to remember at this point, however, that this based only on a listing in a retail database. While these have been accurate in the past, many are simply placeholders for upcoming devices that haven’t yet been confirmed. Until the Moto G2 is announced by Motorola, then, take this information with a pinch of salt. The only thing we can be (almost) certain of is that a second-generation Moto G will be coming at some point this year.